For those who have not visited Railex before, the whole exhibition is staged in the modern and fully disabled accessible Stoke Mandeville Stadium.Please note that the Stadium is not connected in any way with the adjacent hospital and therefore cannot be accessed via the hospital. All exhibits are located within a massive 20,000 square foot sports hall - the size of twelve badminton courts! The hall also has the best lighting you’re likely to find anywhere, meeting TV filming standards. The massive hall allows some very large layouts to be exhibited, which many other exhibitions would be unable to accommodate and consequently are rarely seen. We also invite a selection of smaller and medium sized layouts demonstrating what can be achieved in a more modest space. We pride ourselves that all the layouts displayed are of the very highest quality and are invited on this merit alone. We ensure there are wide aisles providing easy access to all areas of the exhibition, allowing a relaxed atmosphere to view layouts, or to speak with traders and demonstrators. Visiting Railex on Saturday can be extremely busy, please consider making your visit on Sunday when it will be quieter. Although Stoke Mandeville Stadium has been designed as a fully accessible venue, primarily for the use of disabled sports persons; the height of each layout varies and is dependent on the builder. Consequently some layouts may not be at an optimum viewing height for those in wheelchairs or mobility scooters, or for young children. We think the following two solutions that we’ve recently seen in use at exhibitions might be helpful to some visitors: a Periscope, or Small Step-Up, for children to stand on, both of which are available from Stand 1 the Railex Info Point (these items must be supervised by the accompanying parent/adult at all times). The Stadium has lockers that may be used to store rucksacks, coats, motor bike helmets, etc., to save them being carried around the exhibition. These are located along the changing room corridor and require a £1 coin deposit, which is refunded after use. Adult – those over 18 years of age. Child/Concession – available to children under 18 years of age, students in full time education (on production of student card), unemployed (those receiving state unemployment benefit, on production of evidence), disabled person (plus one accompanying carer admitted free). Children under 5 are admitted free. On Sunday only, up to two children under 18 years of age will be admitted free when accompanied by an Adult. Family – covers two adults and up to three children. Prices will be advised closer to the exhibition. Please note that when purchasing your tickets that the Stadium only accepts payment by cash. We shall again offer advanced tickets prior to the event; for details Click Here, they will be available from March to the beginning of May. Tickets can be purchased on the day at the Stadium’s main reception desk, from up to 45 minutes before the exhibition opening time. Both the café and seated viewing gallery, in the main hall, will be available for visitors who wish to relax prior to the exhibition opening. Refreshments and hot meals will be available throughout most of the day from the café in the Stadium foyer. Stoke Mandeville Stadium is located just one and a half miles from Aylesbury town centre and situated directly behind Stoke Mandeville Hospital (both the hospital and stadium are within the town of Aylesbury). We will be providing a free bus service from Aylesbury railway station carpark direct to the bus stop near the Elm Farm Shops on both Saturday and Sunday, then there is a short walk down Elm Farm Road to the stadium, which will be clearly sign posted. The service will start half an hour before Railex opens and the last bus will depart the bus stop near the Elm Farm Shops a few minutes after the show closes each day, for which a timetable to be available by the beginning of May. The bus service will be run by a Vintage Route Master bus, a London Country green one. Click Here to see Photo of the Green Route Master taken by Graham Bucknell. Due to the age of the vintage bus which predates current D.D.A. requirements, we regret it may not not suitable for those who have difficulties in climbing steps. Also the bus is unable to accommodate mobility scooters or wheelchairs. For those one cannot make the Free Vintage Bus service taxis are available to hire from the station forecourt. Limited Free parking for Railex visitors is available at Stoke Mandeville Stadium in marked bays. We would like recommend that visitors may like to use the town centre car parks and use the free and excellently restored Routemaster bus from Aylesbury railway station carpark the bus stop near the Elm Farm Shops that runs every hour. We recommend the long stay Friarscroft (588 places) car park close to the station which is £3 for all day on Saturday and £1.50 for all day on Sunday detail on all town center car parks can be found here. The roads around the stadium car parks are residential and although have no parking restrictions should you park there we would like to keep our neighbours happy so please abide with all road parking regulations, park safely and keep all access areas and driveways clear. Stoke Mandeville Hospital car parks that are located close to Railex are chargeable but at the weekends generally tend to be quiet. Charges are: 2 - 3 hours: £4.50 and 3 - 8 hours: £6.00. See their website for full details. Access from the hospital is next to the Cancer Care Unit, just follow the road from the pay & display carparks. Follow the road signs to Aylesbury and then the Hospital (these are clearly marked from all major routes). Turn off the B4443 Aylesbury to Stoke Mandeville road into Stadium Approach, at the Churchill Avenue roundabout, and proceed to the stadium entrance. If using the stadium car park, please abide the rules and do not park in the disabled parking bays unless you are entitled to. The area is served by a fast, frequent Chiltern Railways service to and from London Marylebone. 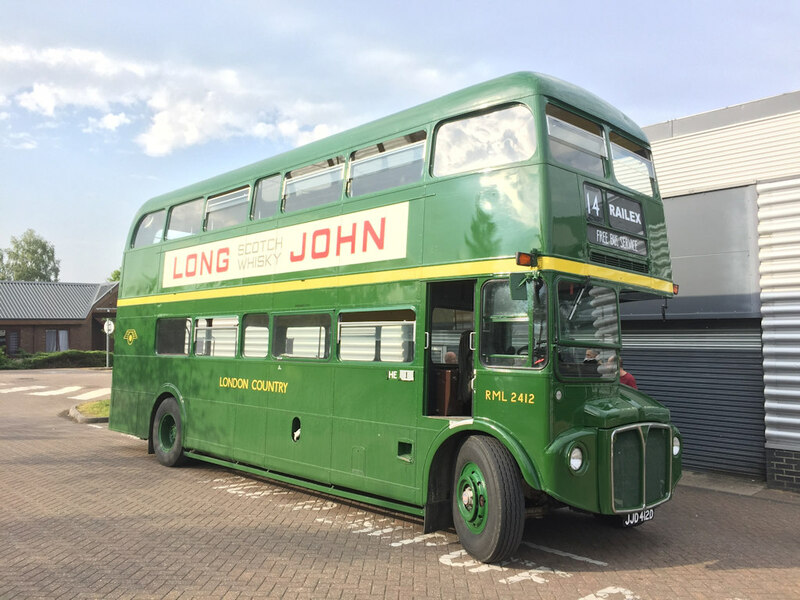 If travelling from the south alight at Aylesbury (not Stoke Mandeville) and then proceed by free vintage bus to the bus stop near the Elm Farm Shops in the station carpark. If travelling from the north Birmingham Snow Hill or Banbury change at Princes Risborough or catch a 280 bus from Haddenham station to Aylesbury Bus Station. Taxis are available from the station forecourt to the stadium a single fare should be around £3-£4, although buses run from the adjacent bus station. Buses from Aylesbury bus station on many frequent bus routes, details below. Click Here for 300/X30 Bus Route and Timetable. Saturday departs Aylesbury bus station at 09:35, then 05, 15, and 35 minutes past each hour then, 15.15, 15.35, 16.05, 16.35, 17.05, 17.45 and arrive at Churchill Avenue/Stadium Approach at 11, 21 and 41 minutes past each hour, then 15.21, 15.41, 16.11, 16.41, 17.11, 17.51. Return service departs Churchill Avenue/Stadium Approach at 9.58, 10.24, 10.58, then 18, 48 and 58 minutes past each hour, then at 16.48, 16.58, 17.22, 17.52. Sunday service is hourly with the service departing Aylesbury bus station at 5 minutes past each hour. Return service leaves at 41 minutes past the hour. Click Here for 165 Bus Timetable.